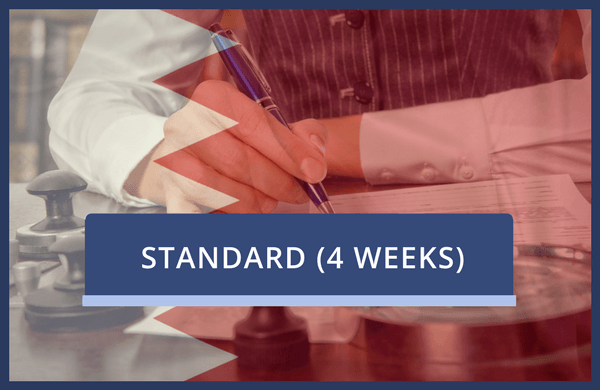 Choose this service to have a document legalised for Bahrain which requires certification beforehand by a solicitor or notary public. This is our standard 4-week service. Please note that the quoted timescale reflects how long we will typically need your document(s) for. You should allow sufficient time to send us the document(s) and also for return delivery.